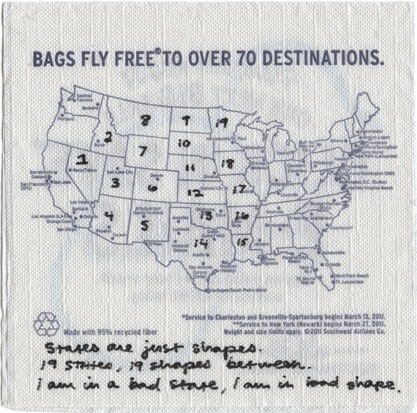 Napkins from a Plane #2 is an 11″ x 11″ inkjet print in an edition of 5. It comes in a simple white frame. 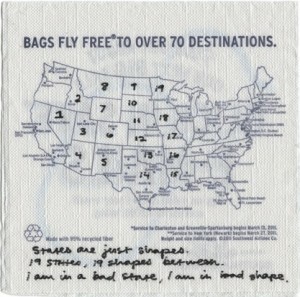 19 states, 19 shapes between. I am in a bad state, I am in bad shape.